I noticed Apple’s advertisement for the latest iPhone, titled “Misunderstood”, being shared through social media with some positive comments. It shows a boy that appears to be deeply distracted with his phone while the rest of his family travels, hugs, makes snow angels and snowmen, and celebrates the holidays. Then on Christmas, the story takes a turn (in Apple’s favour) as he shares that he was actually using his phone to document and create a movie for his family. In the end, his mother is filled with the emotion of the gift. You can see the ad below or click here. I am not sure I am a fan of the commercial. 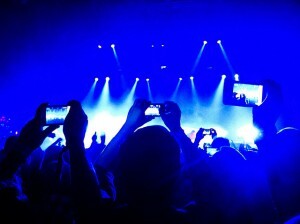 I have been that boy trying to capture everything with a phone. I remember a few years ago I had the goal of capturing our school sports day so that parents could be part of it from beyond our school field. At the end of the day, I had a large number of videos and photos that were taken and shared… then I realized that I watched most of sports day through a screen. I missed the giggles, the cheers, the teamwork, and the playful moments that occurred outside the small screen I spent most of my day looking through. Did some parents appreciate it? Absolutely. But I had lost sight of what sports day was all about and felt I missed being there. I could have captured a few shots with the camera and posted the odd photo; instead I buried myself in the camera app (and share) to the point that I feel I missed a good chunk of that sports day. I am not saying we put the devices away all day nor am I saying we never capture and share. I just know from my experience, that I have sometimes gone too far and lost sight of the goal of just being there… in that moment. The title of the ad, “Misunderstood”, is a powerful one in that I agree we do need to be less critical THAT devices are being used and more reflective in HOW and WHY the devices are being used. The boy’s purpose of the phone’s use in the ad was clearly a positive one. My purpose on that sports day was a positive one. For me, though, the real question is: does the capturing of the moment enhance or take away from the moment? For the ad, it is a fictional story so there really is no context to discuss; however, it is a great opportunity for us to reflect in our own lives as adults and with our kids about when is the time to put put the device away and just… simply… enjoy… the moment. I’m still struggling with figuring out this new journey of capture and share… not a lot of answers but a whole of questions.